André, Aurélie, and family will soon be leaving the village to go to the capital city. André needs to go to the embassy to renew his passport, the children must see an orthodontist and get new glasses and those services are not readily available in PNG! 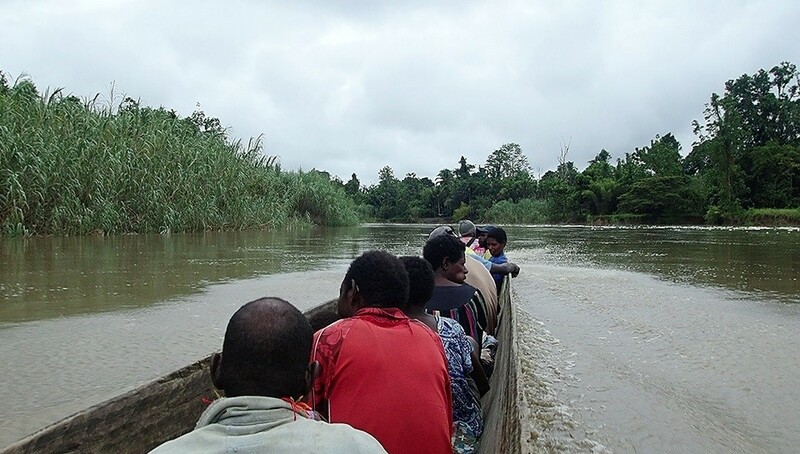 Going to the capital means taking the helicopter out of the village and then flying from Goroka to the capital as it is not connected to other cities by road. They plan to stay there for three weeks and hope it will be enough time to complete everything. The Bible translation is making good progress, the Letters to the Romans and Ephesians are now ready to be reviewed with a consultant but they have not yet received a date for that. The consultants are very busy, there’s a waiting list. They hope to tackle it in May or June. At the end of this review, they will be allowed to print these translations and distribute them. The study of Paul’s Letter to the Romans was a great encouragement to the church. They have just finished and they are about to teach Ephesians in the coming weeks. Pray for the believers as they continue to reach out with the Gospel to those from other villages and show them the reality of a life lived for Christ. André is thankful for prayer for the recent trip to town he took with eleven adults including three women, a baby and a little girl. Several had to go to the hospital; others went to buy medicine for the village dispensary. Glory to the Lord who kept them from all accidents and answered all their prayers!